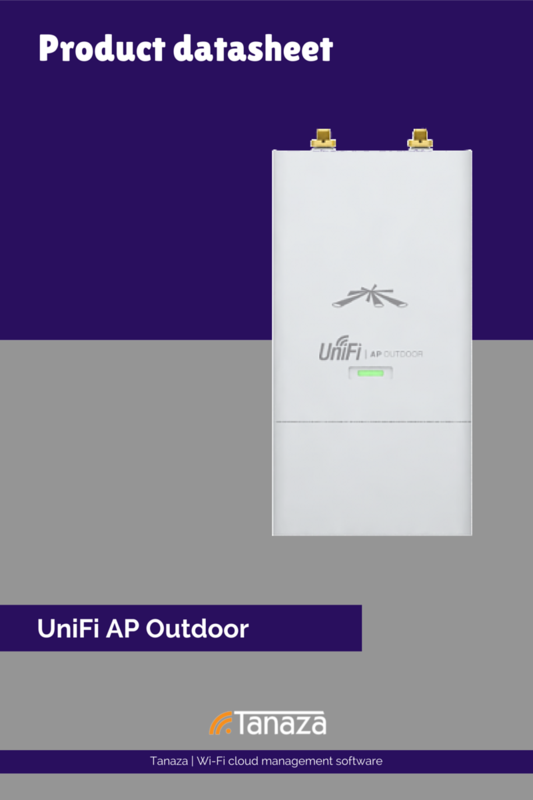 The UniFi AP Outdoor includes two external antennas and a secondary Ethernet port for bridging. It supports 802.11n MIMO, with speeds of up to 300 Mbps and a range of up to 183 m (600 ft). Download the complete datasheet for this device (click here to download it – PDF format). With the Cloud Management & Social login Account you can cloud manage your Ubiquiti Networks UniFi Outdoor, create up to 8 SSIDs, build your splash page, add your logo, enable the social login with Facebook, Twitter, Google+, Instagram, LinkedIn and Windows Live.